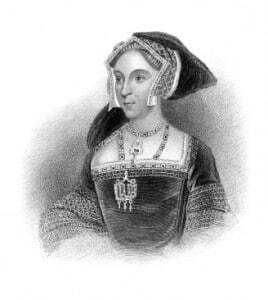 “A Doomed Fate” is Part 28 of Esther Hyams’ wonderful series of poems on the life of Anne Boleyn. Anne felt a terrible ominous foreboding, like a shadow that stalks. That news of their relationship had not escaped public attention. A tribute that meant royal favour was on the Boleyn’s no more. The King counselled Jane to be calm, when talk was overflowing. Like with Anne, he said that he wanted no other to be close to him. For they were gallant flourishes that the Queen would have recognised. And on her virtue and pure chastity she would never encroach. Such innocence, opposite to his dark queen, enflamed his affection. Just as the evocative, seductive words of Anne Boleyn had once done. But Henry VIII was always sentimental at the beginning of his affairs. It would be easy to be rid of a woman the people called a ‘whore’. How easy it would be to bring down on the Queen a doomed fate! This news would bring Queen Anne Boleyn such terror filled tears. Click here to read the next poem in the series – “The Downfall of Queen Anne”.